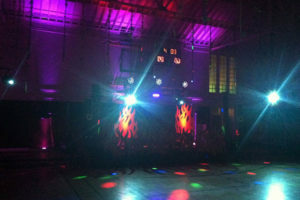 Our professional DJ services are among the very best in the industry. All packages include your choice of music, a cordless mic, and MC services. Billboard Hot 100, Top 40, Cumbias, Dance & Club Music, Rancheras, Rap, Hip Hop, R&B, Tejano/ Tex-Mex, Disco & Funk Music, Banda, Old School, Nortenas/Corridos, Freestyle/Hi-Energy, Duranquense, House Music, Sonidera, Modern Rock, Alternative, Mariachi, Classic Rock, Gruperos, Hard Rock, Soft Rock, Baladas/Romanticas, Country, Latin House, Swing, Latin Dance, Rock & Roll, Raggae, Raggaeton, Blues, Merengue, Jazz, Salsa, 20’s to 40’s, Tropical, 50’s to 60’s, Mambo, 70’s, Latin Jazz, 80’s to 90’s, Tango & Cha-Cha, Today’s Music, Afro/Cuben, Ball Room Music, and more!